Truffle season is upon us, and to celebrate, what’s better than beautiful fresh pasta with lots of butter, Parmesan cheese and shaved truffle…? That’s right, nothing! This little baby comes from Tasmania and this time, my partner insisted on taking care of it, as according to him I didn’t make the most of it last year and he could do much better… All right then! 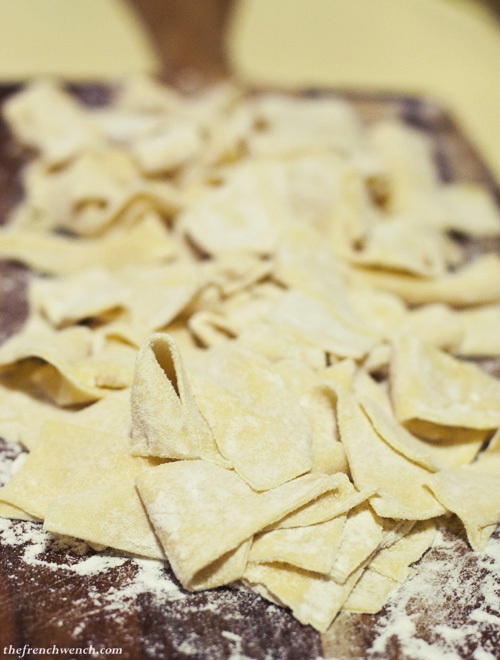 He made some fresh pasta, which he then cut by hand, in a kind of short pappardelle shape. 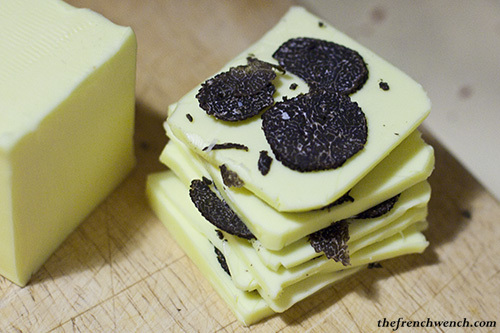 He had previously placed a few slices of truffles in between layers of butter, which gave a nice fragrance to it, before melting it in a pan until it becomes brown. 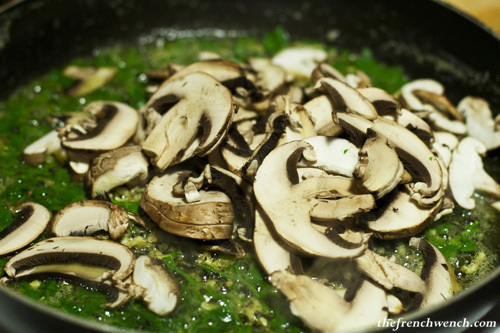 He cut approximately half of it into little bits, which he threw with the butter, to which he added a handful of freshly chopped parsley and a couple of cloves of garlic. 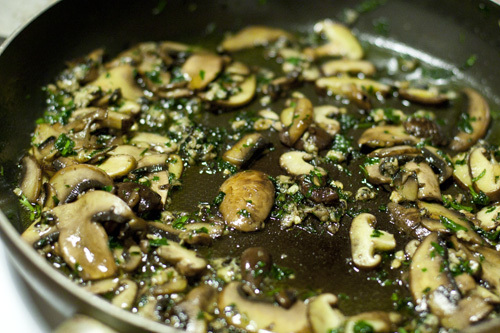 He then added sliced fresh mushrooms, a mixture of Shitake and Swiss browns. Meanwhile he boiled the pasta for a couple of minutes, then drained them and served them with the mushrooms, sliced generously the rest of the truffle on top of each plate, added grated parmesan and voilà! I have to admit it was utterly delicious, you really can’t beat fresh pasta, truffles are worth the extra effort… Maybe I’ll even let the boy be in charge again next year! 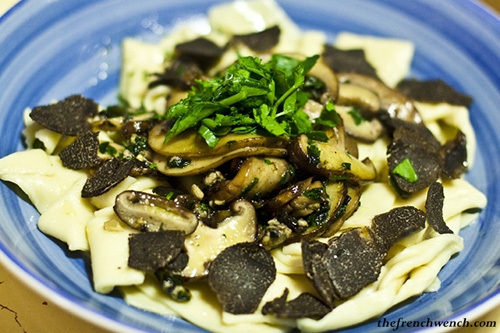 This entry was posted in Recipes and tagged Fresh pasta, Papardelle, Recipe, Tasmanian Truffle, Truffles. Bookmark the permalink. oh yum. Love how you can be so generous with the truffles at home too! *Drool* I must say I’d prefer thinner pasta, though. The gnocchi you made last year look wonderful, too. Oh wow, this looks really great. 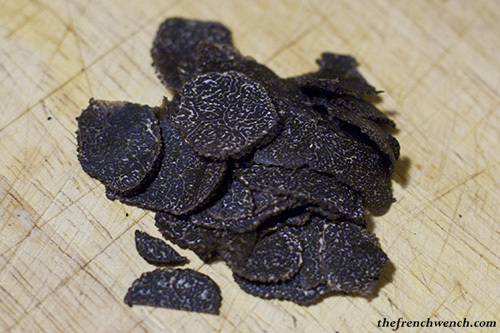 Can you believe that I’ve NEVER had truffles…maybe I should rectify that soon. Hi Angie, truffles in jars are not the greatest stuff, I really recommend laying your hands on a fresh one some day, it’s really worth the expense! I am lucky I admit, I have easy access to some really good truffles! It is indeed Sarah, truffles are all over Sydney, and I’m very happy about this invasion! Oh la la! Now I know something different to try with mine that’s sitting pretty in a glass jar with eggs. Thank you Corinne for your nice comment, you’ve just made someone’s day, he he! This is definitely my kind of meal! I wish my boy could cook me something like that or anything at all! 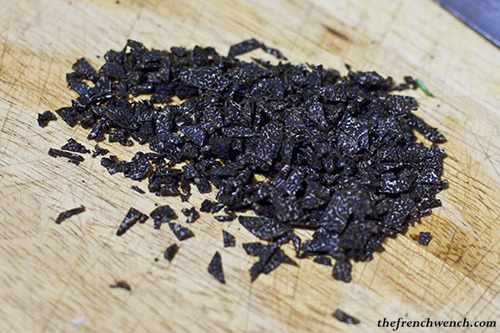 I am a truffle adorer… this looks amazing! Over here they have an annual truffle festival in the hills. It’s diabolically delicious.